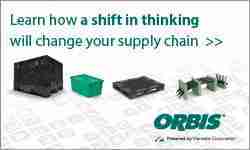 Buckeye Diamond Logistics Inc., one of the nation’s largest, full-service providers of pallets, packaging and custom logistics solutions, has changed its name to BDL Supply. 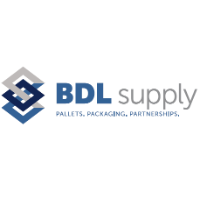 A multi-region pallet manufacturing, recycling and packaging company founded in 1968, BDL Supply’s rebrand comes in response to recent growth outside of its home state of Ohio and expected growth in regions across the country. Founded by Sam McAdow Sr., BDL Supply has grown into one of the largest protective packaging providers in North America. The company is family owned and operated and services customers from its seven facilities in Atlanta, Cincinnati, Columbus, Ohio, Indianapolis, Marysville, Ohio, Philadelphia and at its South Charleston, Ohio, headquarters. 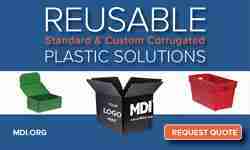 BDL Supply provides innovative packaging solutions to numerous customers in many different industries, including automotive, grocery, distribution and manufacturing. 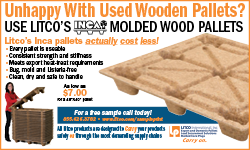 It focuses on manufacturing, reconditioning and recycling standard, custom and specialty pallets, crates and boxes, as well as cut-stock lumber and dunnage as well as protective packaging. BDL’s large fleet of more than 50 tractors and 1,000-plus trailers ensures both timely service and customizable transportation solutions, while its facilities are strategically located to provide products and service throughout the United States. For more information about BDL Supply, visit www.bdlsupply.com.